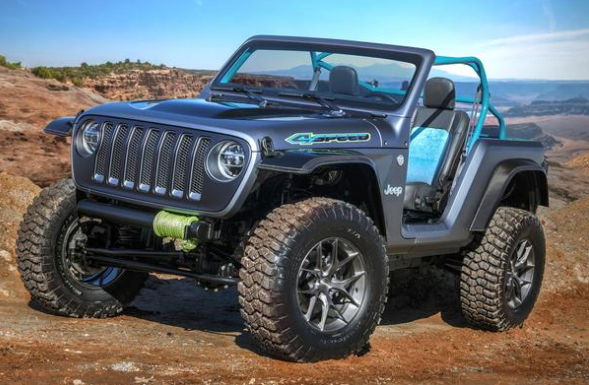 Each year Jeep uses the Easter Jeep Safari to show off its concept vehicles for the year ahead. In 2018 there were seven in total. Sometimes they are completely new, and other times they are based on an existing model made with handcrafted aftermarket parts. 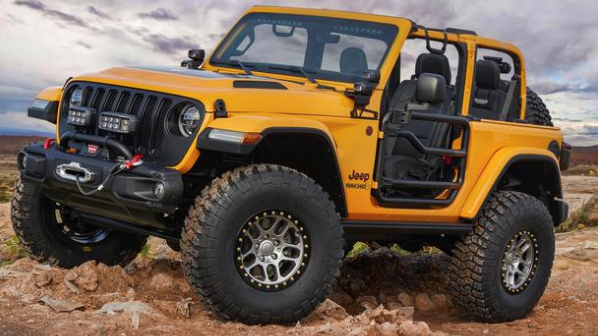 Based on a standard Wrangler Rubicon, the Nacho Jeep is named after its Nacho yellow color. It has 37-inch tyres on black trimmed wheels, which are the only item not available from the normal catalogue. The Jeep 4 Speed is based on the principle of reducing weight, rather than giving it extra power. No rear seats, wider door openings, and custom made rear panels, give it a very distinctive look Jeep owners will love. Another Wrangler Rubicon project, the Jeepster, has standard Jeep parts that have been modified, and a two-tone paint job. Inside there is a touch of luxury with Katzkin black leather seats with the red Jeep grille logo on them. 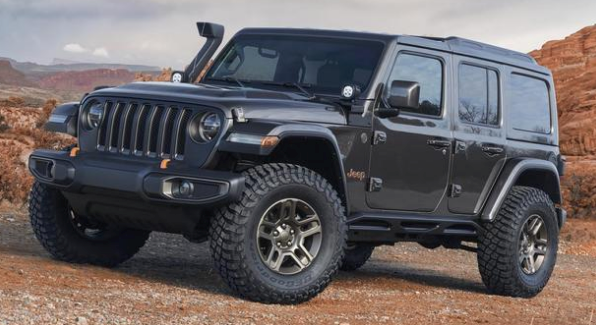 The Jeep Sandstorm has a 6.4-litre V8 engine and a six-speed manual transmission. Inspired by Baja racers, the interior has been stripped of anything unnecessary to reduce the weight and provide more room. The idea behind the Jeep J-Wagon was to create a city car that is also good for weekend adventures. 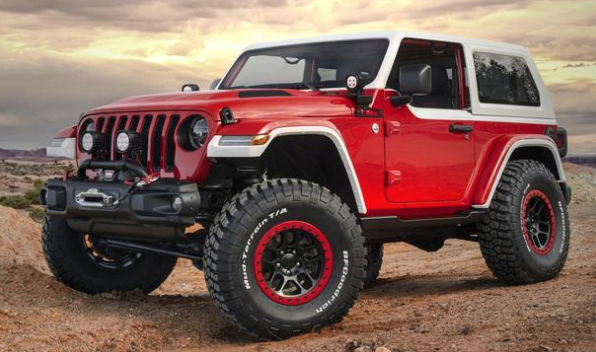 Based on the Wrangler Sahara, it has been customised with Jeep Performance Parts and various new body panels and lights. 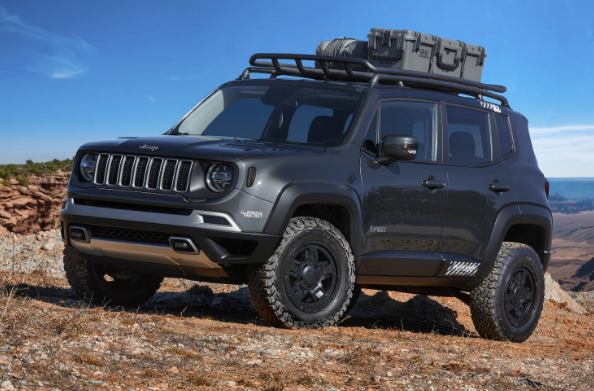 Based on the Renegade, the Jeep B-Ute was built to show what is possible using standard aftermarket parts. Both the interior and exterior have been treated to an upgrade. 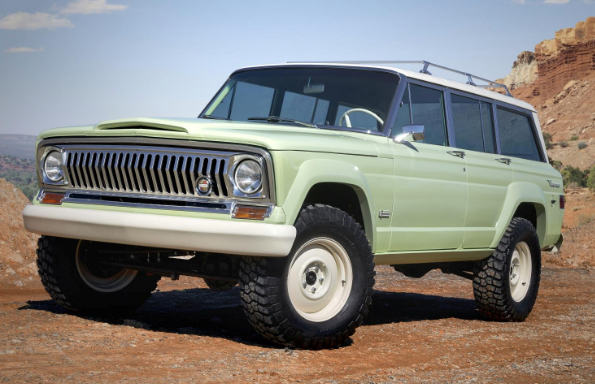 This is a rather special updated 1965 Wagoneer. Several changes have been made to the original, with a couple of nice touches added, such as the toolbox made from the original valve cover, and a cooler hand-made from period luggage.